Today's new bird species in our Birdorable Bonanza is the Blackburnian Warbler! The Blackburnian Warbler is a gorgeous little warbler and a favorite among birdwatchers. The brilliantly colored breeding male is beautiful with its bright orange throat and dark gray back. The birds spend a great deal of time in the treetops, making them a common cause of warbler neck. They utilize coniferous forests, both in the south as in their breeding ground, where they use the tree canopy. Its Genus name 'Dendroica' translates to 'tree-dwelling'. Blackburnian Warblers are long-distance migrants that breed across parts of eastern North America, around the border of Canada, and winter as far south as the forests of the Andes in South America! The birds migrate at night and females usually lag behind the males by several days during migration. 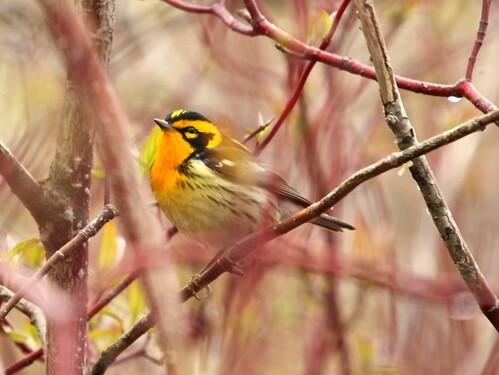 Check out our Blackburnian Warbler t-shirts and gifts and our other Birdorable warblers. 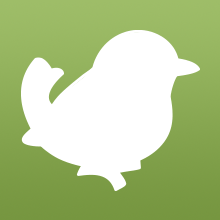 Tomorrow's bird is a large flightless bird from New Guinea that has a reputation for being dangerous to people. Can you guess what it will be? 3 comments on "Bonanza Bird #6: Blackburnian Warbler"
they're one of the most deadly birds to humans!